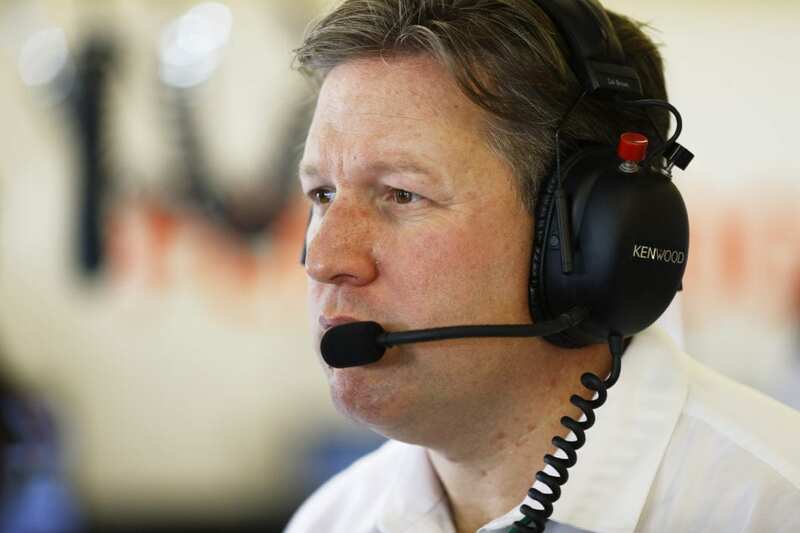 Home All Articles Zak Brown – The Man To Get McLaren Back On Track? 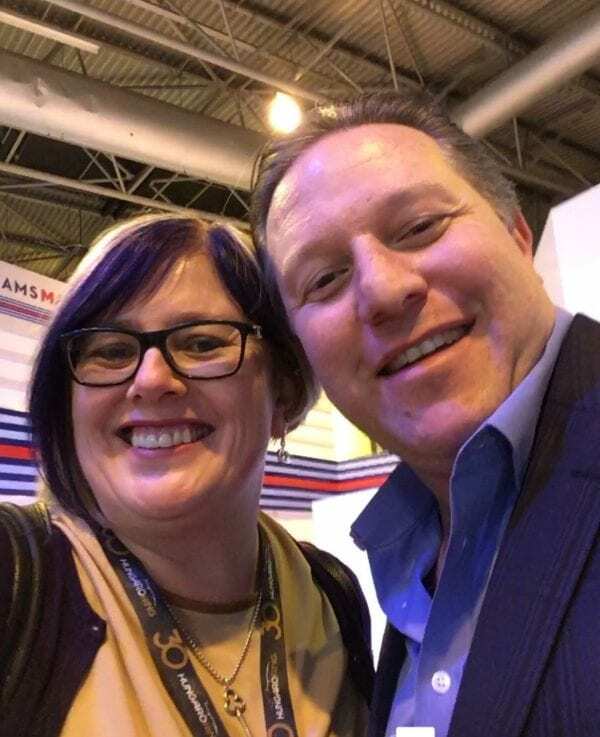 Badger’s Sarah Merritt was at the Autosport International Show at Birmingham NEC this weekend, and was privileged to have the chance to speak to McLaren Executive Director, Zak Brown, and hear about his new role at McLaren amongst his others, and a few hints on the livery of the soon to be launched MP4-32. 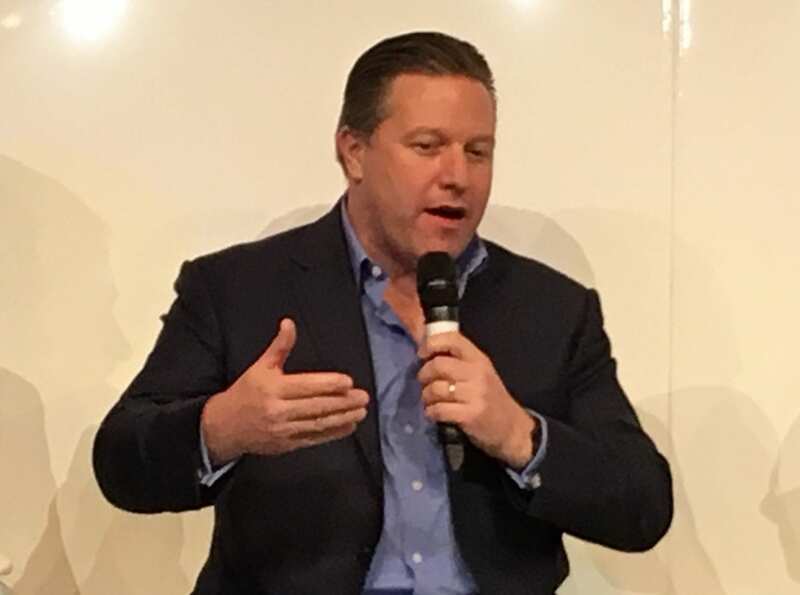 There’s been much excitement amongst McLaren fans (of which I make no secret of being one) with the recent arrival of self-confessed McLaren fan from childhood, Zak Brown, into the role of Executive Director of McLaren Technology Group. That’s not to say that Ron Dennis has been forgotten – far from it, it was the opinion of many fans that Ron was McLaren, and he will always be held in the upmost respect. However, Zak has quickly demonstrated a different approach altogether, prevalent on social media, and sharing his enthusiasm with his followers, and speaking frequently of the need for fan engagement. We often see his tweets from the McLaren Technology Centre, and it is clear that alongside the work that Zak has to commence to lead McLaren back to the front of the F1 grid, he’s dead chuffed to be there! Indeed, his Twitter bio reads “Cut me and I bleed McLaren’. We like passion, and Zak has arrived with barrel-loads of it. Zak describes himself as a racer, and to talk to him it’s clear he is a petrol head (with his own collection of historic racing cars). It’s probably why he seems to understand exactly what motorsport fans want – he is one himself. 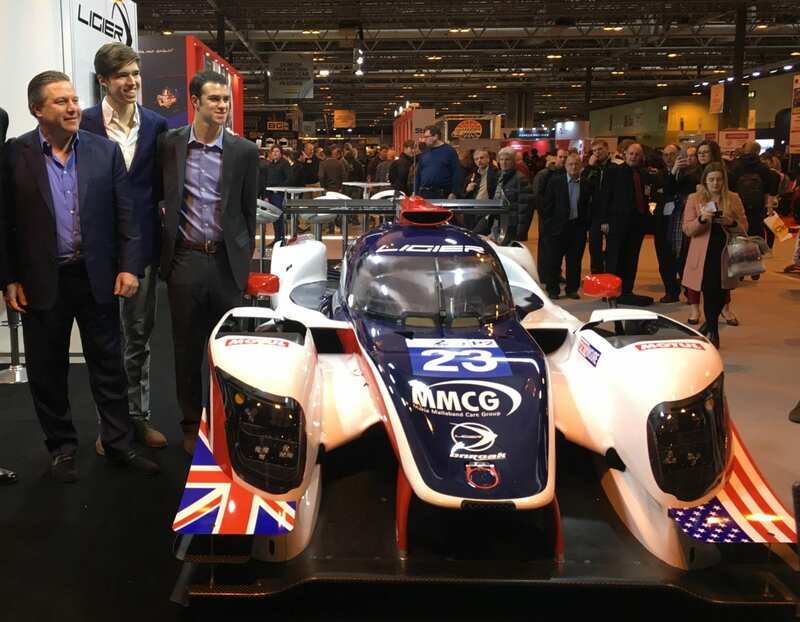 Alongside his role at McLaren, Zak is involved with Motorsport.com, but it is for his role alongside Richard Dean at United Autosports that he is at the annual Autosport International show at the NEC in Birmingham to unveil their Le Mans and ELMS LMP2 entry, and announce two of their three driver line-up. I’d met Zak earlier that morning after he’d finished being interviewed on the main stage, and introduced myself – I was pleased as punch to proudly tell him I was a McLaren fan, and grab a quick photo with him. So when I was then offered an opportunity to join a group interview with Zak, I jumped at the chance to pose him some questions. Q: United Autosport’s line-up for Le Mans is pretty much set. You must be really excited to get United Autosport finally at the world’s most famous race. Zak Brown: Very excited, one more driver to go. We know who we want, we’re just working on getting some economics together so we can go there and compete at the front. We’ve two great young drivers, the Ligier car is going to be great and it looks great. It’s the first time I’ve seen it in full livery delivered late last night. We’re going to start our testing programme in February and it’s going to be extremely tough but we’re up for it. Q: How have you found the transition from United Autosport, something you very much built from the ground upwards, whereas with McLaren, it’s a very big company that you’re now working on building back up? Are there any crossovers in the challenges that you’ve faced with the team? ZB: Let other people do the work! They’re two obviously different types of organisation. With United Autosport we’re building history. Obviously McLaren’s got a tremendous amount of history. Both take a racing culture and mentality in getting the right equipment, getting the right people, and empowering those people, so you kind of go racing in the same way. It’s just one’s with 50 people and one is with 750 people. It’s great, there’s a lot that I see here that I can learn over at McLaren and vice-versa. I think racing’s racing. Richard (Dean) does a great job with United Autosport, I have the pleasure of just showing up to enjoy it and not have to get too involved on the technical side. SM: That’s good, because you probably wouldn’t have time as you are doing so much, with Motorsport.com as well? ZB: McLaren is my priority, and then Motorsport.com and network and obviously the show…none of that feels like a job, so it’s easy to kind of work 24 hours a day. It’s not stressful; it’s quite enjoyable. I’d like to do more of what I’m doing now, but I’m quite happy with the portfolio of commitments. I just want to make sure they’re at the world championship level for all of them. So far so good. Q: How have you found your first couple of months at McLaren? I guess coming in towards the end of a season must be quite an interesting phase? ZB: It’s only been a month, literally. December 11th was my first day, even though I went to Abu Dhabi. SM: It feels like it’s been much longer! ZB: It feels like longer. It’s cool showing up to McLaren every day. Seeing the history and the people and the drivers and the cars – it’s very hard work but it’s a lot of fun. I know what I want to do over the course of the year. I’m trying to get it done tomorrow (Zak smiles). That’s the hard part, just managing how much can be done in a day. Q: Have you been able to make any changes yet at McLaren? ZB: I’ve done some structural stuff on the commercial side and a little bit on the technical side. Just making sure everyone has the tools they need and communication is clear and concise. Early reports on the car are good; I saw some of the aero stats yesterday. We’re close to where we want to be, and Honda’s coming along with the engine, so we’re cautiously optimistic. Q: Where do you see the new tyres coming into play? ZB: It’s going to make the cars a lot quicker overall, yet slower in a straight line from an aerodynamic standpoint. The simulation’s saying anywhere between three and five seconds faster per lap depending on what circuit you’re at, and the type of circuit it is. I think it’s going to be harder on the drivers, but I don’t think any of us are going to know until the first shakedown in Spain. SM: Do you think that perhaps as McLaren weren’t one of the three teams involved in the Pirelli tyre testing, that puts them at a disadvantage, as you’ll be working from other teams’ data? ZB: You’d rather be out there than not. I don’t know how much of a disadvantage it is, but there’s got to be some advantage to having worked with the tyres. We’ll have to see if we can make a change to that in the future. Q: How much of an involvement on the sporting side are you expecting to have, is there much of a crossover? ZB: Jonathan Neale and I are ultimately mutually accountable. I spend more time on the commercial side, he spends more time on the technical, but he spends time on commercial and I spend time on technical too. 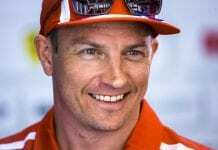 I think these teams now are too big to be run by any one individual, so while I’m not technical, I’m a racer and I understand what it takes to win races – the side where I can contribute is more on the sporting side than the technical. Q: You were talking about Fernando Alonso in your speech at the beginning of the day, and you speak very warmly of him. He is out of contract at the end of the year, so naturally he’s going to be talked about in silly season. Are you expecting a fight to keep him, or do you think he’s committed to this project? ZB: He’s definitely committed to the project, but his contract is up and he’s in high demand as you can imagine. Vettel is out of contract next year is my understanding, so next year’s going to be an exciting driver market movement. Obviously we’d love to keep him, he’s one of the greatest drivers on the track, if not the best. But we’re just going to see how things go and kick off those conversations a few races into the year. 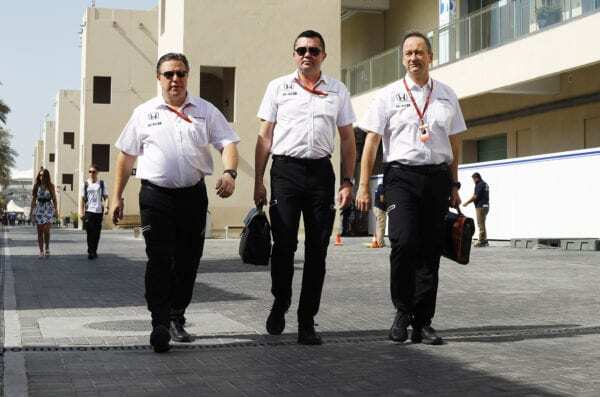 Q: Do you think a lot hinges on where McLaren lies in the pecking order early in the season? ZB: If I was him, I’d want to see how we perform before I started making decisions. You can’t blame him for that. But we’re all waiting to see, and that goes both ways. 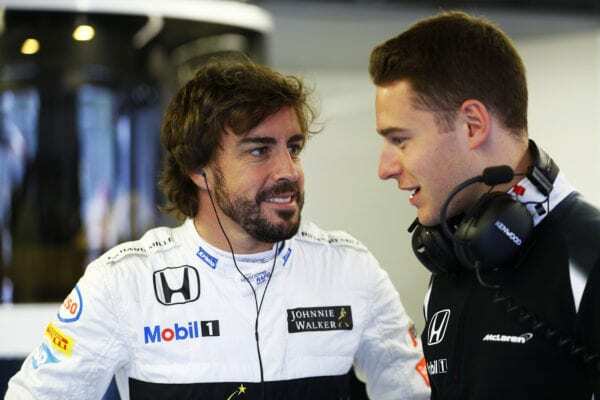 SM: And do you think perhaps Stoffel is going to give Fernando a run for his money? ZB: “Stoffel will give Fernando a run for his money. I would NOT underestimate Stoffel. Q: The profile of F1 in the US has been a big talking with Liberty coming in. 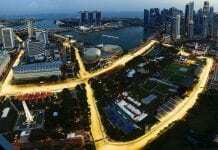 Do you think F1 needs a second race in the US if it’s going to crack the market? ZB: Yes, it can be very big in North America. The only reason it’s not is that there’s not enough of it, so yes, a second race. I think the television is very good, the addition of Haas is a good thing, an American driver would be nice but I don’t think there’s one around the corner. A second race and then the teams need to do a better job of helping promote the sport and then it can get there. It’s moved around too much, it’s not had races, the tracks have moved around, so we need some stability and date equity which Austin brings, but we need a second one. Q: Outside of motorsport channels, how much is F1 talked about in the US? ZB: Not enough! It certainly wouldn’t be up with the NFL, NBA, Major League Baseball – it’s not in those leagues, whereas we know in Europe and other parts of the world, it is. When people are exposed to it, they love it, so we just need to expose more people to it. Q: I think you’ve said before you want each race to be a mini-Super Bowl. So what kind of things do you want to add to a weekend? ZB: Absolutely! Well, you’ve got to get the fans closer to the sport, whether it’s physically or through digital devices, but I think we need netter fan engagement, whether that’s live, or other media channels, or both. We need to let the towns know that we’re coming to the race earlier; I’ve landed at some grand prix on a Thursday, and I land at the airport and you wouldn’t know that the race is happening. You land in town for the Super Bowl, by the time the gate has pulled up to the gate, you know the Super Bowl is in town! Marketing needs to start a city level, at the airport – maybe get the drivers there a little bit earlier, get the media turned on earlier. And then have some events, and I think fan engagement doesn’t just have to be at the race track. It can be during the week in the town centres etc, so I think we need to do a better job of event marketing. Q: And the format of the weekend? There’s lots of talk of races on a Saturday? ZB: That needs to be reviewed. Qualifying doesn’t need to be toyed with, I think that’s very exciting personally. ZB: We tried to toy with that and tried to experiment with it, and I don’t think qualifying is broken at all. The race just depends on how good the racing is whether an hour and a half is too long or too short. If it’s a great race, an hour and a half is nothing. If it’s a boring race, after 30 minutes it’s boring. I’m OK with the format. 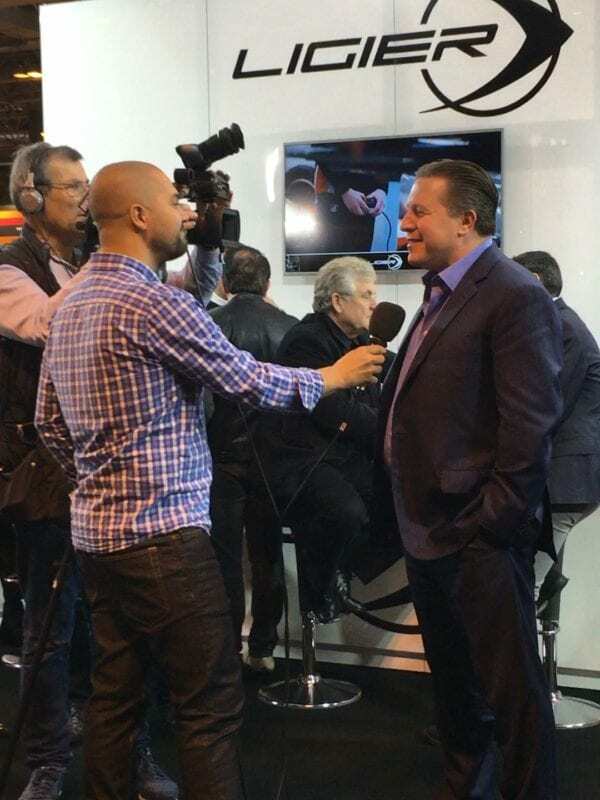 Q: Are you the busiest man in motorsport? ZB: I don’t know – I know how busy I am, and I certainly feel very busy! But there’s a lot of people out there working real hard. But yes, I’m flat out. Q: So what drives it, is it just a passion? Q: Ever since you were a small boy? ZB: Ever since. It’s fun. The minute it’s not fun, you stop doing it. Q: How many hours sleep a night do you get, for example? SM: On that note, as you are a McLaren fan, does that cause you issues sometimes? On the commercial side, you have to make some hard decisions, but this is something you love, and that you’re a fan of – does that make it harder? ZB: Not really. I’ve been around long enough that when you get into business mode, you’ve got to turn the fan part off, as it’s a job. I’ve been fortunate that I’ve worked with all the teams in all the series, so I can turn that off. I’m a fan on Sunday when the race starts, that’s when the fandom kicks in! SM: And when you first went to the McLaren Technology Centre and walked out on the boulevard, did you have that ‘lump in your throat’ moment that we all do on our first visit? ZB: (Smiling) Oh yeah! But the biggest moment was when I put the team shirt on. That was the coolest moment. ZB: No…well, you’ll see some livery changes. I think everyone’s going to like the race car. It’s cool. SM: Can you give us a hint? Is it traditional? ZB: It’s not traditional. Well, it depends what you define as traditional! If there’s some orange in it, you’ll be happy. Q: When are you planning to launch? ZB: Late February before the first Spanish test, so we’re just working on the actual date. I think the fans are going to be happy. We’ve listened to them. We’re going to see a car that will light up my Twitter. We’ve seen when other teams are launching and we take that into consideration, you want to be respectful. We want to make sure everyone pays attention to our car and at the same time, not try and trump someone else. SM: Can we expect a name change in the car from MP4? ZB: No, I think we’re going to stay where we are. SM: So the car will still be the MP4-32? SM: You were in Las Vegas, where the Formula E eRace was. From 2018-2020, I know McLaren Applied Technologies are supplying the batteries to the series that will mean we can have one race with no pit stop. Do you think McLaren could move into Formula E as a team? ZB: Maybe. Maybe. You know we’ve won the Indy 500. We’ve won Le Mans. We’re not just a Formula 1 team. We have our technology just deployed in IndyCar through our electronics, and NASCAR with the batteries. Part of my job is to see where else we should go racing, so I would say all forms of motorsport are under review at this point. Q: And could that include a return to Le Mans at some point? SM: One last question – what do you have as a company car now? Do you drive a McLaren? ZB: I have a McLaren – I drive a 675 LT.
I’d expect nothing less. And so ended our group session with Zak, with him positively shaking our hands before he moved on to his next commitment. It’s clear how driven Zak is, and yet he puts all around him at ease as he cuts a relaxed figure, stood with his hand in his pocket, and smiling throughout the interview. 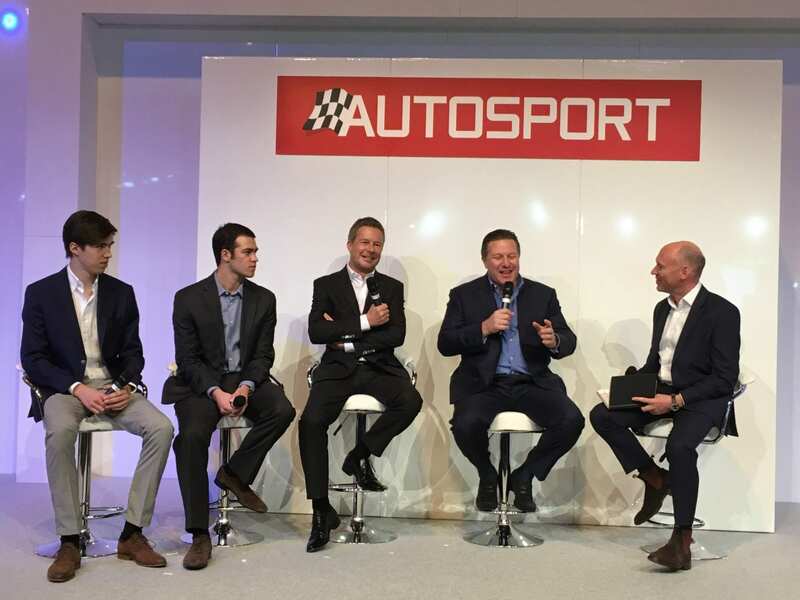 For perhaps the busiest man in motorsport it’s a great skill that he never once makes us feel rushed or as if he hasn’t got time to spend talking, and of course, the passion and infectious enthusiasm of doing what he loves comes through in every answer. It is clear that he is proud to be part of the McLaren resurgence.